What sets Panda Antivirus apart from the rest? Using the correct antivirus has become more and more important in an age that’s technologically driven and demanding. Internet access has become an everyday requirement that brings with it major conveniences – and some threats to consider also. Even major corporations have fallen victim to cybercrime and you don’t have to look very far to come across an instance where a large network has been compromised. The Sony and Dropbox hacks are fairly recent reminders of the fact that almost any connected device is susceptible to unwelcome intrusions. With the plethora of antivirus offerings out there, which do I choose? It’s understandable that one may be overwhelmed by the barrage of antivirus products on the market and the reality is that cybercrime is a serious and constantly advancing field that demands proper and effective monitoring and management. So, which antivirus is the right one amongst the myriad of offerings? Heuristic scanning: This means that your antivirus can detect unknown malware by the way the malware behaves. Constantly updated signatures: With the amount of threats seemingly doubling every year, your antivirus needs to be kept up to date with the latest threats. Rapid response to zero day threats: Good antivirus vendors respond quickly to develop and deploy zero-day threat solutions to customers. Consistently high levels of effectiveness: Aside from being a well-known and trusted solution, your antivirus needs to have consistently high levels of effectiveness and test results. 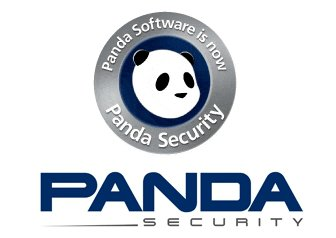 Why do we use Panda Cloud antivirus as our monitoring software? Small resource footprint: I remember my desktop support days where I had to repeatedly ask clients to uninstall a particular antivirus because it was too resource-intensive and slowed computers down. Your antivirus shouldn’t slow you or your workforce down to a snail’s pace and thereby increase stress levels. Does not require special hardware and setup: Being cloud-based, it doesn’t require servers, SQL databases and other 3rd party software components for functionality. Setup is done via a software agent and can even be pushed to multiple computers. Panda is constantly innovating: Panda is constantly coming up with new ways to actively monitor, detect and block threats. Panda is constantly receiving awards: Panda has received many awards for not only effectiveness but its active involvement in reducing cybercrime. Collective intelligence: Apart from regular updates to its signatures, Panda uses cloud technology to scan and build up its revolutionary Collective Intelligence Monitoring. Web-filtering: You can block certain sites like Facebook and other time-wasting sites from being accessed. Block access to download sites and other malware hives. Manage users in the cloud: You can assign users to groups with predefined settings and permissions, and manage unused licences. No doubt that there are many other antivirus software packages out there but Panda was the first commercial cloud antivirus and monitoring software and has a longstanding reputation for effectiveness and innovation. It’s easy to install and setup, does not slow down systems and best of all just does its job in the background.